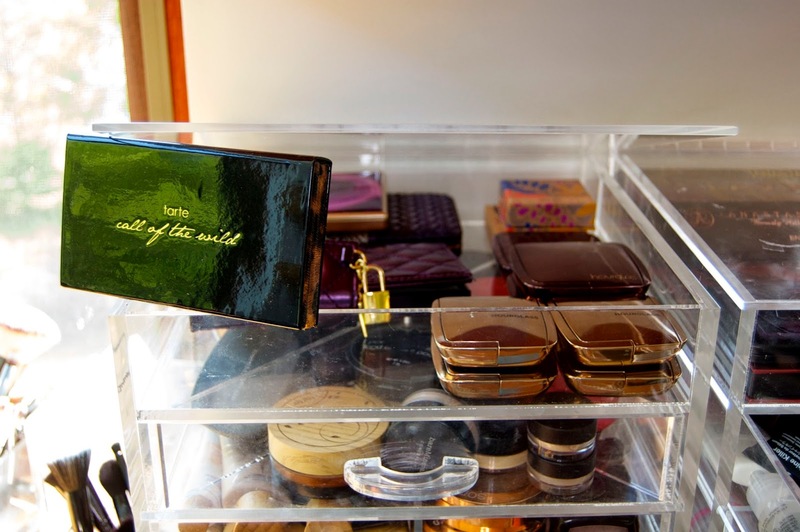 It can be hard to find storage for cosmetics that is as cute as it is functional and thats why i usually stick to acrylic; its hard-wearing, you can easily find what you're looking for and it goes with any decor. After years of throwing my nail polishes into a big tub and only using the ones that happened to work their way to the top, i decided i should try displaying them so i can easily find what i want and hopefully would stop buying the same three colors over and over because i forgot i already had them. I found these tiered racks from Amazon, each hold around 60 polishes depending on the brand and are priced around $25. A good friend of mine used to work in Muji in the UK so when i was in the market for something to organize lipsticks and glosses, i took to their website to see what they had to offer. 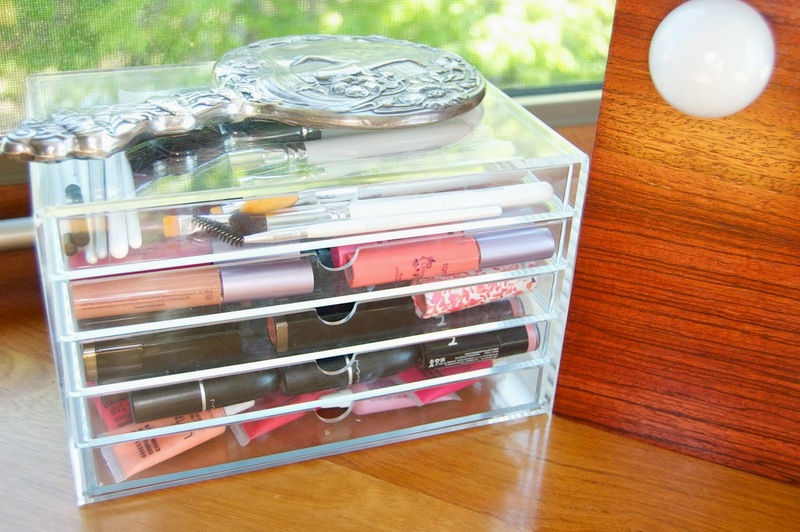 I picked out this 5 drawer case which is perfect for lip products, brushes and eye pencils/mascaras. I put my gorgeous OCC brushes in the top drawer since they are too perfect not to be on show. You could also lay fabric in the top drawer and display your favorite pieces of jewelry. As far as i'm concerned theres no such thing as a chic tissue box, no matter how hard the tissue companies might try. When i saw a similar acrylic tissue box on Karissa Pukas' channel (i think), i clearly had to have one, too. This one was from The Container Store and has a hinged lid you just plop the contents of your tissue box into. My Clear Cubes were definitely my biggest splurge in the organization department but at the time i bought them there weren't any other companies producing anything like it. You can see these "in action" in my ancient, crappy makeup collection video! I did post other options on my tumblr a while ago so check them out here if you're looking for alternatives. If you are considering acrylic storage options i really recommend getting a cleaning solution/ kit for it. I don't clean mine as often as i should, as you can see in the pictures, but when i do they look brand new! 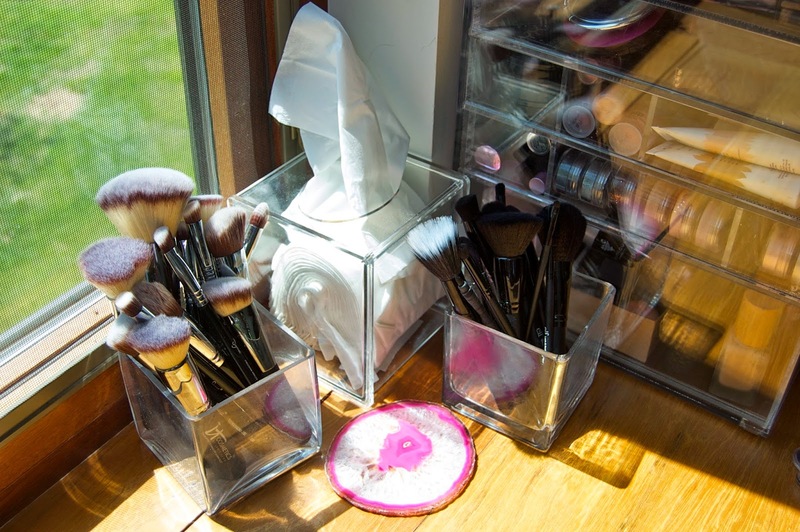 What are some of your favorite ways to organize your cosmetics? Love that you can see through them... I use tupperware tubs and shove them under the sink and forget about half the stuff i Have. 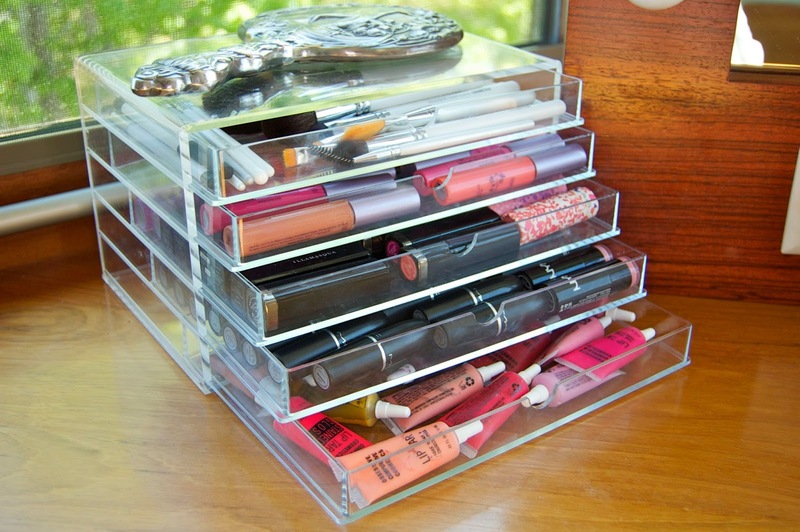 I also use clear acrylic cases! 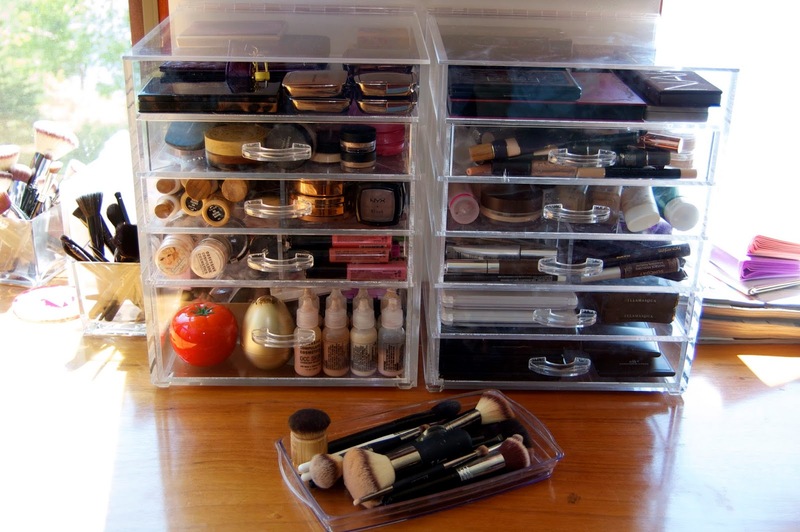 I love them but I think I've been watching far too many makeup collection organization videos on you tube because I've been lusting after the Alex drawers from IKEA! I just built a shelf to display my nail polishes. I got a really great tip from YouTube and from the employees at Bath & Body Works to use their candle jars as storage holders. So I'll be cleaning them out and using them as a lip gloss and brush holder.